Bringing a cat into your home can be a joy for everyone around. Bringing a cat into your home can be a joy for everyone around. Along with their soft fur. Playful antics, and unique personalities, cats offer several health benefits. 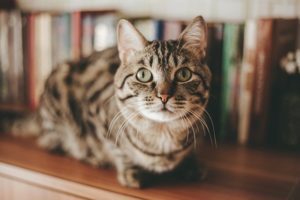 All pets can help add happiness and health benefits to your home, but cats provide a unique advantage. While they still need plenty of care and attention, they don’t need to be walked the same way a dog does. This makes them an excellent option for those who have mobility issues, don’t want to walk, or simply find themselves without the energy to keep up with most dog breeds. There are plenty of jokes about how cats are disinterested in humans, but we find this is only the case for those who don’t understand how to interact with these elegant creatures. While it’s true that cats may not be as eager to please, they are more than affectionate in their own way. Your feline friend will likely come to greet you in the morning and after a long day at work. Once they’re sure they can trust you, your cat will open up and be just as affectionate as any pooch. One of the unique things about cats is that they all have radically different personalities. As you get to know your new pet, you may find that they have all kinds of amusing quirks. From playing with toys to getting the “zoomies,” cats can find themselves in all sorts of humorous predicaments to help make you laugh. From healing the heart and mind to alleviating some of the pain and side effects of other injuries and illnesses, cats are proven to help with healing. For those with mental illness and PTSD in particular, the routine and companionship of a cat can be critical in healing. Cats are also shown to help reduce cholesterol and blood pressure, in part because they help you to relax. This entry was posted on Friday, April 12th, 2019 at 3:15 pm. Both comments and pings are currently closed.